Since its inception, Foundations has grown their product line to offer all customers a complete solution to their child care needs. Their products reflect our commitment to safety, innovation, quality and value and is a trusted early childhood brand you can count on. 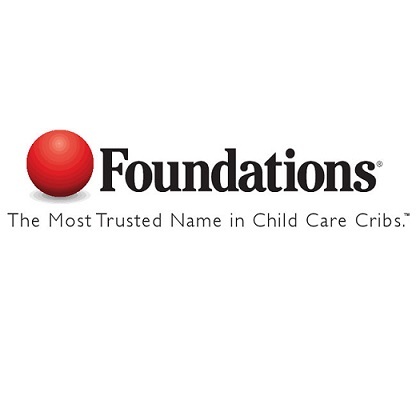 From child care centers to hotels to the home nursery, Foundations has you covered with a variety of wood cribs, steel cribs and play yards that combine style with the ultimate in safety and function. Bedding and mattresses are designed for reliable safety and comfort. Stacking Podz cots are the perfect shape for a great naptime in any youth classroom. Foundations has versatile options for changing stations and tables, as well as a variety of multi-child strollers that offer comfort, durability and convenience. Foundations also offer the only commercial grade glider available on the market with solid, steel bases. Designed with the comfort and taking account of time demanded on caregivers, Secure Sitters self-loading feeding chairs are a hit with large and small childcare facilities all over the U.S. Whether you need to outfit a small church nursery or a large national childcare chain of daycare centers, look to Worthington Direct for all of your daycare furniture needs.